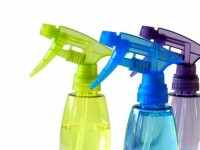 Approximately 95% of all accidental or intentional poisonings are due to chemicals. 90% of these cases happen at home. Chemical poisoning occurs when toxic substances and solvents enter the body and have an adverse effect on organ function. Chemicals that can cause poisoning include chlorine, disinfectants, heavy metals, herbicides, insecticides and petroleum products. When such substances are absorbed by the body, they cause damage to the internal organs, especially the liver. Symptoms of chemical poisoning can vary greatly, ranging from skin conditions such as rashes and boils, to organ damage such as kidney or liver failure. Chemical poisoning most often occurs in the home due to household chemicals, or in people who are exposed to chemicals on the job. Chemical poisons may enter the body following topical exposure to skin, breathing in poisons from the air, chronic poisoning from gradual exposure on the job, accidental poisoning in the home (most often young children who swallow prescription drugs or household chemicals), or by a suicide attempt. Due to our highly toxic environment, anyone may be at risk for chemical poisoning, regardless of whether they live in an industrial, urban, or even a rural setting. Scientific evidence shows that everyone on the planet carries residues of dioxin, DDT, and numerous other chemical toxins in the fatty tissues of their bodies, and that lead burdens are now 200-1,000 times greater than in the skeletal remains of people living 1,000 years ago. Moreover, concentrations of chemical toxins in the body continue to rise, meaning that everyone can benefit from reducing their overall toxic chemical load. *In severe, acute cases of chemical poisoning, seek immediate emergency help. Eat organically grown foods as much as possible. A high-fiber diet is particularly helpful for cleansing the system. Recommended foods include brown rice, beans, barley, lentils, oatmeal, beets, carrots, spinach, garlic, onions, almonds, brazil nuts, bananas, lemons, grapes, dates, and plain, organic yogurt. In emergency situations caused by chemical poisoning, a very high dose of vitamin C and glutathione given intravenously can be very helpful. Other useful nutrients include vitamin B complex with choline and inositol, vitamin C with bioflavonoids, vitamin E, coenzyme Q10, garlic capsules, superoxide dismutase (SOD), raw liver extract, protein supplements (free-form amino acids, especially L-cysteine and L-methionine), and selenium. Supplement with essential fatty acids like flaxseed, canola, safflower, or sunflower oil (two to three tablespoons to as much as 1/8 cup); co-enzymated B complex; vitamin C; and lecithin. Consume immediately before a light exercise session or a light, dry sauna. Immediately after exercise or sauna, take a cool shower with a good quality soap. People who are very ill from the toxins should work into the exercise and sauna program very slowly.